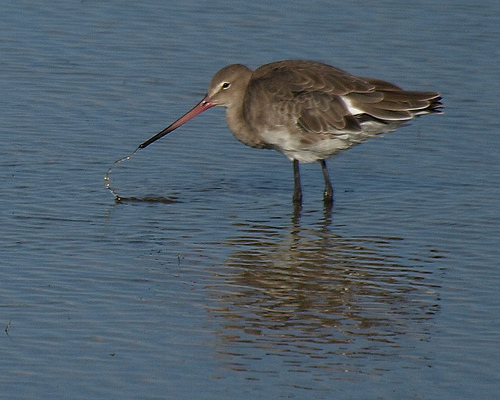 The Black-tailed Godwit is a species that's still having a hard time in western Europe, despite all the helping measures. Agricultural intensification has lowered the groundwater level, making it more difficult for the Black-tailed Godwit to search for food. With its long beak it has to prick in the soil, which is only possible when the soil is wet enough. 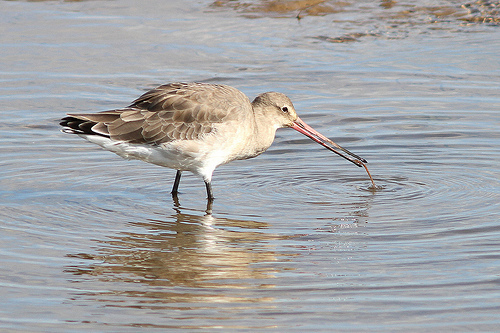 The Black-tailed Godwit has a long and straight beak and also longer legs than the Bar-tailed Godwit.